New York based artist David Packer revisits the history of Orientalist art and travel diaries as he takes us on a visual journey through Moroccan crafts and everyday life. Unlike paintings and publications of yore, in which Morocco is nostalgically given an exotic and timeless identity, Packer’s sculptures and images suggest a land that is uncannily familiar, a place in which we encounter common social issues of our ever shrinking world. Mass produced plastic bottles used for drinking water in coffee shops become precious and delicate in ceramic form, the result of a laborious and lengthy process in a Fez workshop. Their recognizable shape in an unusual medium questions boundaries between disposable objects and fine art, and the global culture of throwaway items and imagery. The painstaking production of an industrial design in Fez, a seat of traditional Moroccan handicrafts, alludes to the larger effects and history of globalization. 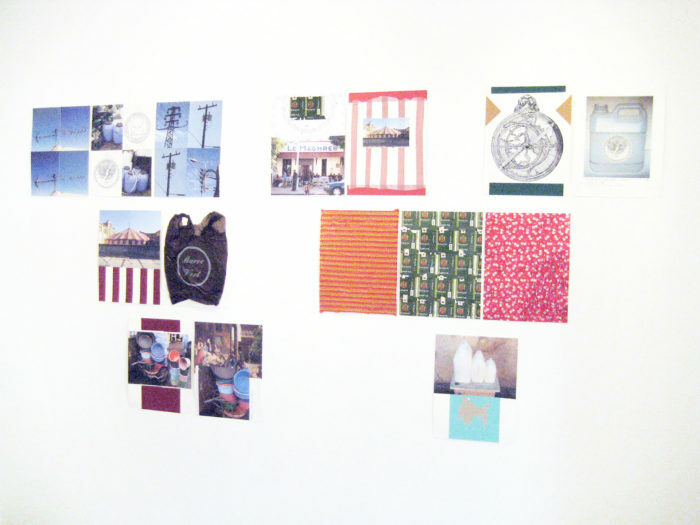 Wall sculptures and portfolios in which photographs and found to recycled objects are juxtaposed draw lines between manufacturing of the past and present. 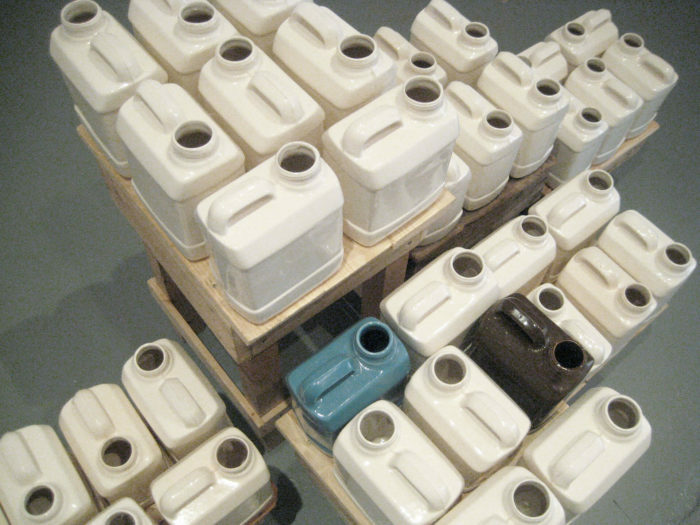 Electrical infrastructure, modern architecture, and plastic containers, among other subjects, dislocate the viewer, connoting design and manufacturing in many countries and, therefore, no place at all. The multitude of colors and stripes intimate flags of no particular nation. Empty Marquise cigarette packets situate us in Morocco, yet far from the historic monuments that typically signify Maghribi identity. Astrolabes we could use to find our way instead disorient us. Based on centuries-old examples in the Batha Museum in Fez, they reference the glorious past of Arab trade and technology, yet their flattened forms, blend of utilitarian with natural materials, and imagined functions speak of the trans-national here and now. At the end of our journey, we are left dislocated, yet not lost, challenged by the layers of significance evoked by Packer’s assemblage of images, objects, and techniques; and the implicit invitation to find our own journey and meaning through his work.